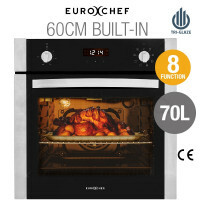 Bake to your heart’s content with Euro-Chef Electric Ovens, exclusively available online on Mytopia. Electric ovens are as good, if not better, as their gas-powered counterparts. Even temperatures are maintained throughout the oven since it doesn’t depend on volatile gas flames to keep it hot. Perfect for temperamental baking goods such as soufflés and cream puffs, enjoy perfect baking every single time with Euro-Chef Electric Ovens. Transform your kitchen with the oven’s sleek brushed stainless steel finish. Make your life easier with the large easy-to-read LED display and smart timer functions. Program the oven to automatically turn off after a period of time. Accurately monitor baking progress with the oven’s rear lights. A flawless enamel finish, thermo-reflective panels for optimal heat retention, and fan heating technology complete the myriad features that make Euro-Chef Electric Ovens simply the best. Build your dream kitchen with Mytopia’s extensive range of Rangehoods, Induction Cooktops, Ceramic Cooktops, Griddle Cooktops. 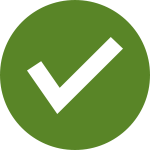 All Euro-Chef Electric Ovens are backed by an Australian standard 12-month warranty for private household use. Guaranteed fast and easy delivery anywhere, whether you’re in Sydney or in the Outback, only from Mytopia. What are you waiting for? 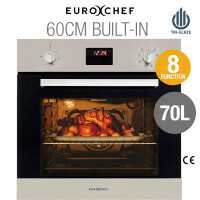 Buy a Euro-Chef Electric Oven today and turn your kitchen into a baking powerhouse.